We are a prominent Manufacturer, Exporter, and Supplier of the highest grade Electrical Insulators based in India. The Electrical Insulators that we offer are widely used in the power transmission process as safety devices. Also includes 1.1 To 36 KV Transformer Bushings. These Electrical Insulators also helps in smooth transmission and distribution of electrical power. Our variety of Electrical Insulators is specially fabricated using premium raw materials, in order to ensure superior performance and durable life. 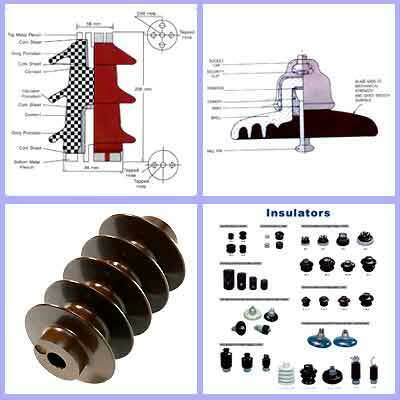 We offer these Electrical Insulators at very moderate prices in the markets.